Dr Travis Bradbury is a prolific writer on emotional intelligence and the article quoted at the bottom of this post has some great ideas on how to manage stress. 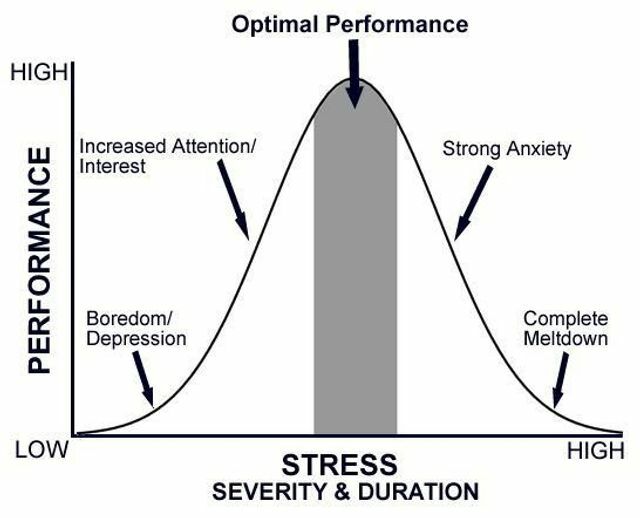 At Applied Influence Group we look at how you can reduce the stress in specific high stress situations. This could a be a high stakes sales meeting with a client or a difficult conversation with someone in your team. Travis's points apply equally here but we would add some more. Plan. We talk to people all the time who know they need to plan but say they don't have the time. Effective planning reduces your cognitive load, making it easier to stay in the optimal performance zone. Visualise. Imagining the situation allows you to play out what might happen. Getting angry in a visualisation lets you recalibrate before you go in for the real thing. It can allow you to work out your own stress trigger points and be aware of them in the real meeting. Pathways. Although you'll never be able to work out all the possible outcomes of a meeting, considering the options can be another way of reducing cognitive load. If you've already thought of what might happen in the meeting, then when it actually occurs it won't be a surprise.